Citrus Lane Box January 2014! I have aged Saraphina’s box up one full year after being a little bit disappointed in a few of her previous boxes. Now, that’s not to say her boxes weren’t great! The problem is when I compared her box to some of the other boxes that I saw on the Citrus Lane Facebook page. Hehe! Rather than be envious of the older boxes, I decided to just age her up and honestly, I have been very happy with the aged up boxes! That said, here is a quick peek at our January 2014 Citrus Lane box! Super cute book this month that is no ordinary coloring book! The interactive pages have your little one adding their mad artistic skillz to the cute activity pages. Every page is full color and sturdy, making this book not feel at all like a simple coloring book, which it most definitely is not! Very fun way to introduce drawing and shapes and even colors to the little kids. These awesome markers have a colored tip on each side, one wide and one fine, plus they are made from food grade vegetable dyes, so when they inevitably get on your child’s clothes, the stains easily wash out! Yay! These are a perfect companion to the coloring book! This is perfect to have on hand!!! I noticed a lot of moms saying they had no use for this item, just wait until their kids get their first case of the stomach flu! Trust and believe, this is a must have for the medicine cabinet! All ingredients are completely natural and 100% vegetarian/vegan with no gluten, dairy, soy or sugar. Even if it’s just a queasy tummy from motion sickness, indigestion or gas, it’s nice to know you have something ready to go to ease your little one’s discomfort. Yes, yes, yes, I love it! So ends another awesome month of Citrus Lane! 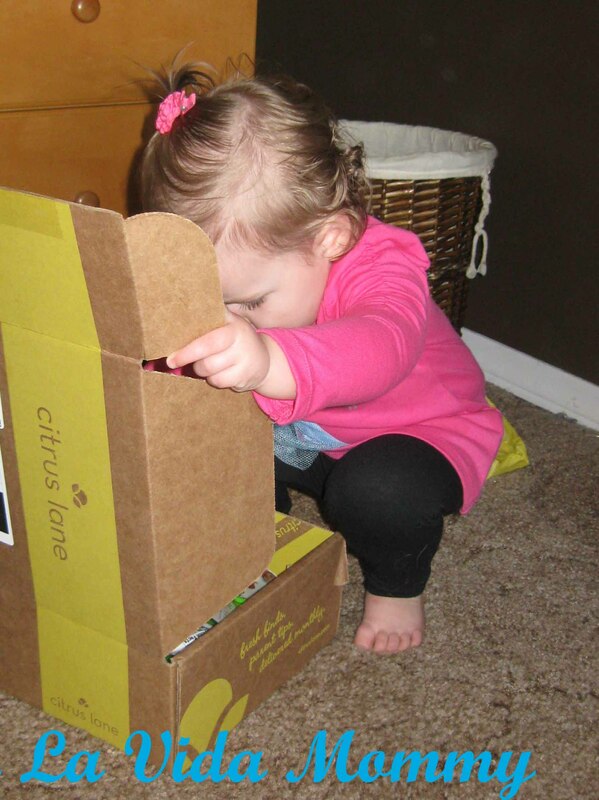 If you are totally jelly and wishing you had your very own box of goodies delivered right to your door each month, carefully curated just for your child, then click HERE and give Citrus Lane a try! 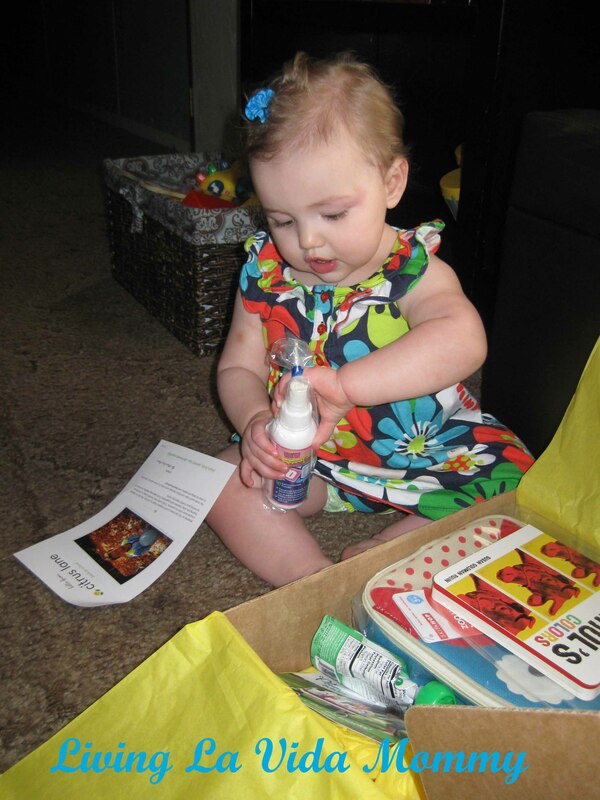 Shipping is always free, and you get an awesome array of goodies each month specifically for your child’s age. Use coupon code FEBHALFOFF to get 50% off your February box! I have recently discovered another awesome company that specializes in organic products, with lines for baby, beauty, household, you name it! Natures Paradise Organics is a company that started with the founder’s great grandmother’s family recipe for skin irritations, something she cooked up herself on her stove top and gave out to family and friends to soothe their irritated skin. This is a company that is passionate about providing it’s customers with organic, safe, and natural products. Their recipes include no chemicals, no toxins, no petroleum, no synthetics, no parabens, no phtalates, no BPA, no sulfates and are 100% vegan! Safe ingredients equal a safe product, and one that you can feel 100% confident in using both on yourself and on your precious baby’s skin! 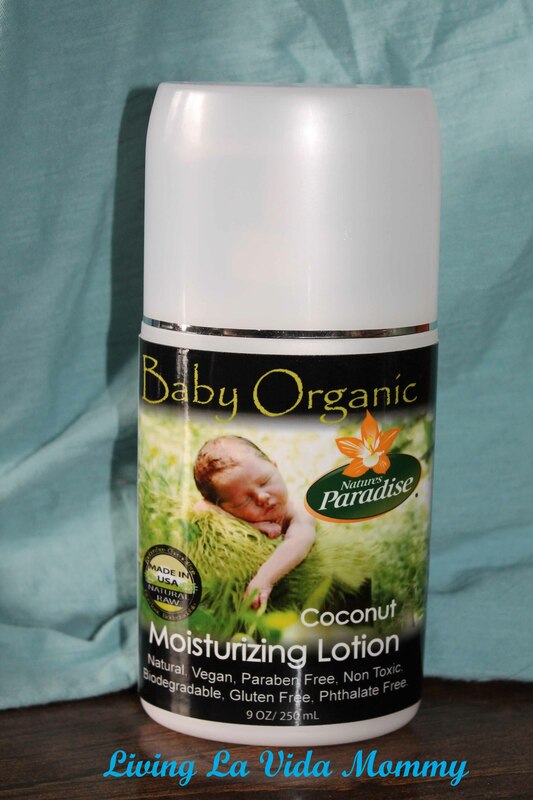 I received the Baby Organic Coconut Moisturizing Lotion for review, and I just have to say, the formulation is heavenly! It is silky smooth right out of the bottle and the scent is just divine! It is a very light and delicious coconut smell that leaves skin fresh and moisturized without weighing it down with a greasy, sticky mess. 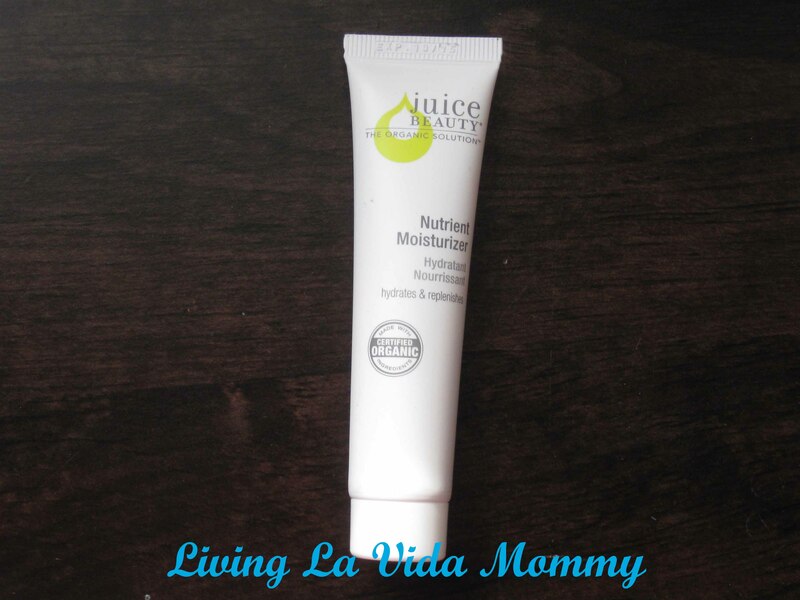 It absorbs well and best of all, it works wonders on dry winter skin! This is a product that you can feel good using on your children and yourself, along with their many other amazing products. As the year is coming to an end, now is the perfect time to go through your cabinets, throw out the old, toxic, nasty, chemical laden products and replace them with something better both for you and for the environment. Even better, Natures Paradise Organics is having a sale on their products! Go to their website by clicking HERE, and enter code “blackfriday” to get 60% off! That is a steal! Browse through their many products and stock up now, it is a great way to start the new year and an amazing gift for the loved ones on your holiday shopping list! “Like” Natures Paradise Organics Facebook page by clicking HERE. Follow Natures Paradise Organics on Twitter by clicking HERE. The awesome folks at Natures Paradise Organics provided me with free product for review purposes only and I was not compensated in any other way. All opinions are my own, and I really do love their products! Citrus Lane Black Friday Deal! I love Black Friday season, snagging a good deal and saving money are a sure fire way to make this mama very happy! This year, just in time for Black Friday, Cirtus Lane is offering up an awesome deal for new subscribers OR current subscribers who would like to renew their subscriptions! What a perfect time to try it out for yourself or to send it as a gift for someone you know with a baby aged 0-5! 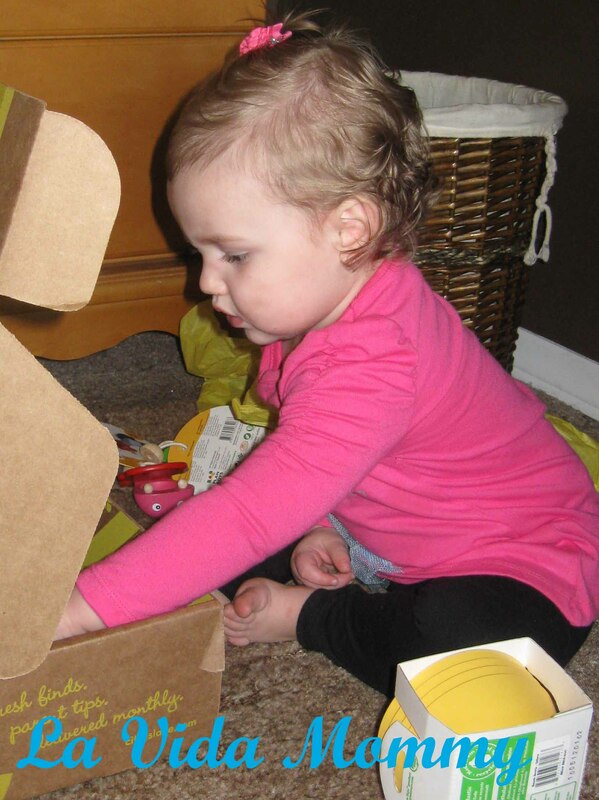 We LOVE our Citrus Lane box!! We have been getting boxes for Sara since she was only 9 months old and have found some really amazing goodies in our boxes over the years! Take advantage of this amazing deal, and remember, shipping is always free! October 2013 Citrus Lane Box! This month’s box, instead of sunny yellow on the outside packaging, was pink in honor of National Breast Cancer Awareness month! And as usual, it was filled with lots of awesome goodies! Okay, snacks are always good, but this one is even good for you! Well, better for you than regular potato chips anyway! 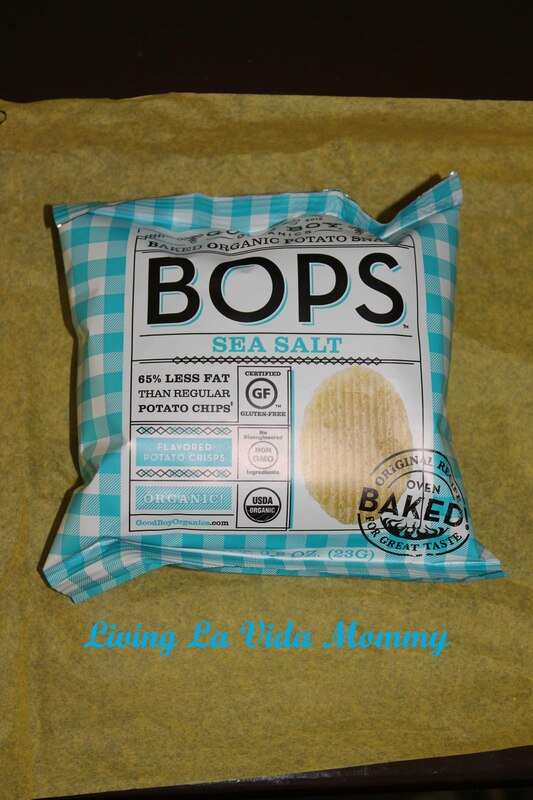 BOPS stands for Baked Organic Potato Snacks. Now, there are plenty of baked potato chips out there, but they tend to be very lacking in flavor. These snacks are 65% less fat than regular chips, certified USDA organic, and completely free of gluten, preservatives and trans fats. They are also chock full of yummy flavor! Sara had these with her lunch yesterday, and let Mommy sneak one or two. Very good, and no icky, greasy mess! We are gathering quite the collection of musical instruments from our Citrus Lane boxes! We may need to start a neighborhood baby band! 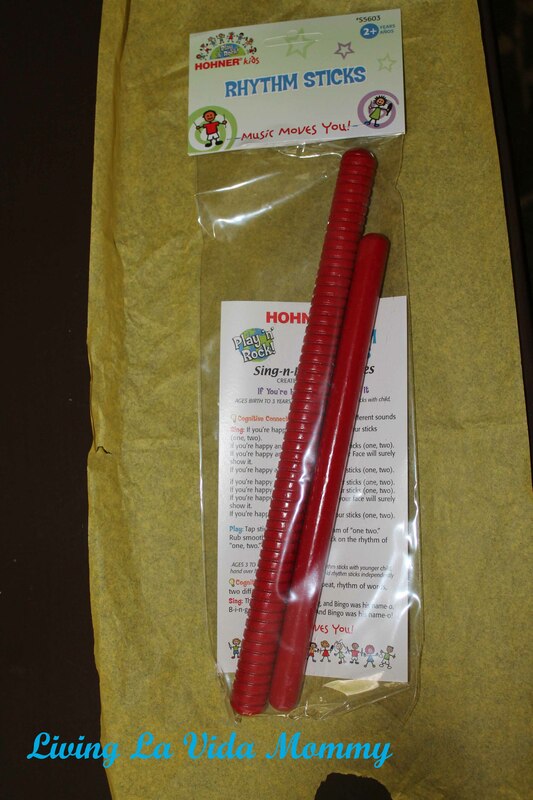 🙂 These sticks are easy for any little one to grasp and painted with durable paint that can stand the test of many a jam session. There are lots of ways to play with these, and if you have Rock Band fans in your house, this is a fun way to let the little ones play along with the older kids! Who doesn’t olove to rock?! Okay. I love Cloud B. I mean, seriously, I love every single product they make, everything is super high quality, well thought out and just super adorable! Imagine how excited I was to see this adorable little octopus friend in our box this month! This is a perfect companion for on the go, or just the regular night time routine. With a simple press of a button, she shines beautiful stars and bubbles onto the walls and ceiling! You can change colors, from blue to red and there is even an automatic timer so you don’t have to worry about the batteries wearing out too quickly. 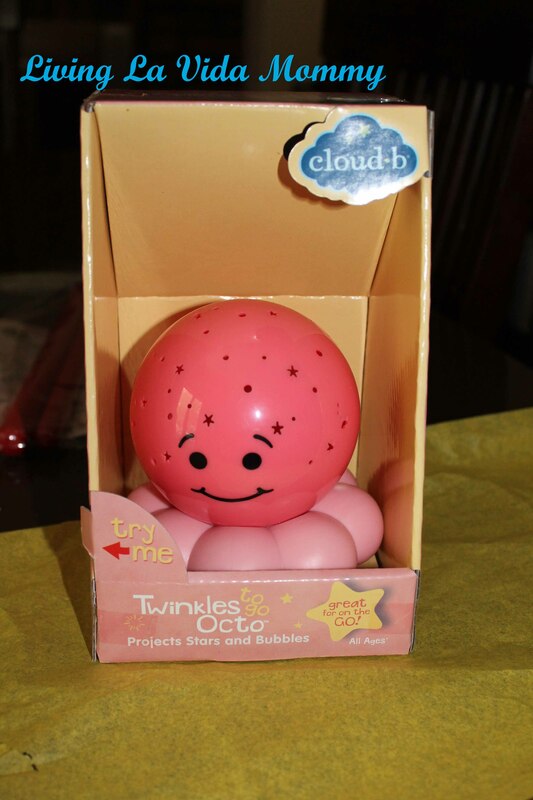 Our little Octopus friend will be right at home with our Twilight Turtle, also from Cloud B! What a gorgeous, lovely magazine! 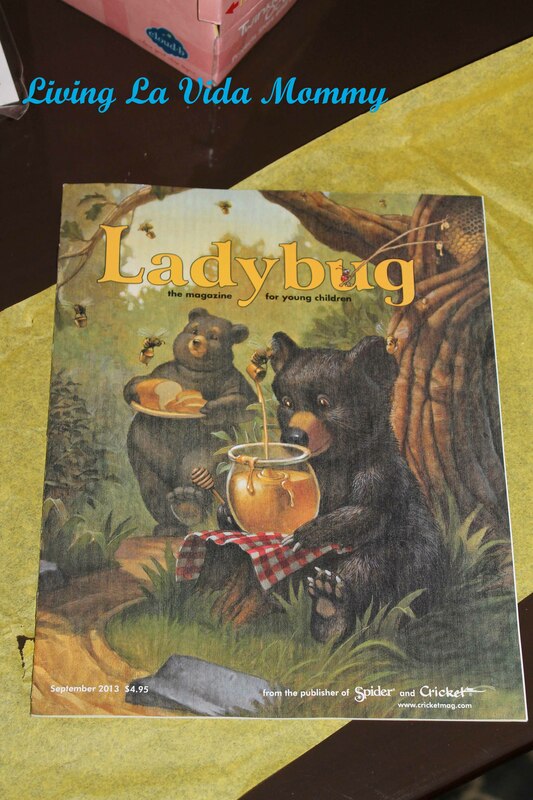 Filled with stories and poems and beautiful artwork, this magazine is just perfect for a quick story before naptime or even just relaxing together. 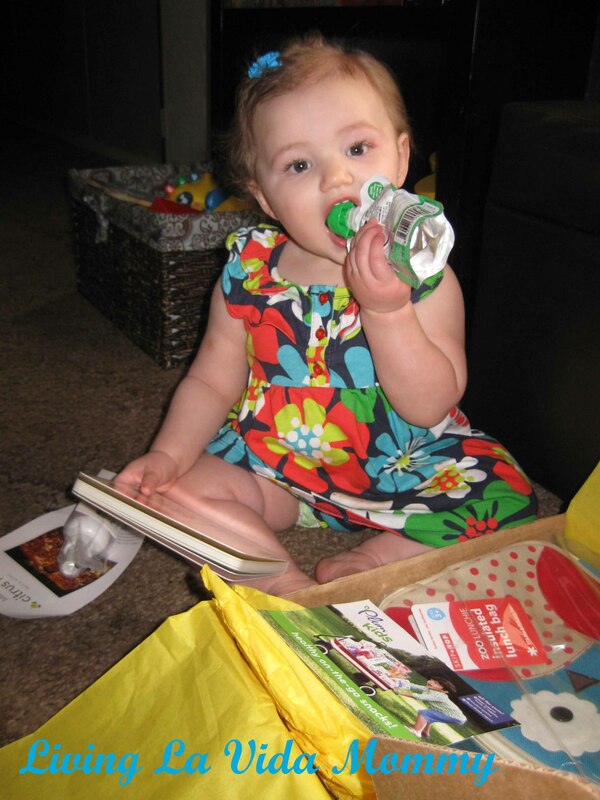 Sara is a big bookworm, just like her mama, so how exciting to have her very own magazine! Included along with this awesome magazine was a really generous offer for a FREE 3 month digital subscription from Cricket Magazine! Yay! Besides the outside of the box being different this month, the inside also had some surprises! What better way to remind moms and dads (and grandmas and grandpas and aunts and uncles, etc!) to take care of themselves and to raise awareness?! We had a lot of fun with the mustache, in honor of Men’s Health Awareness Month and Breast Cancer Awareness Month! 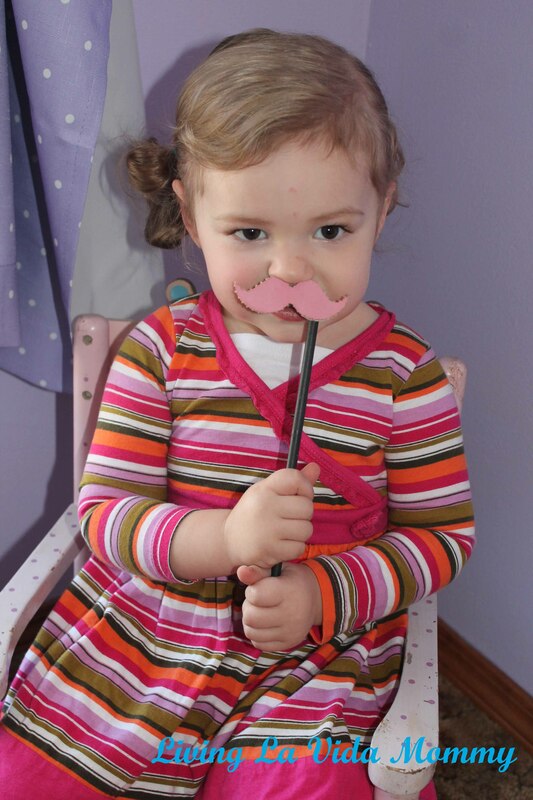 I love the extra little activity, and of course, the kiddos loved playing with the mustache! So ends another awesome month of Citrus Lane! 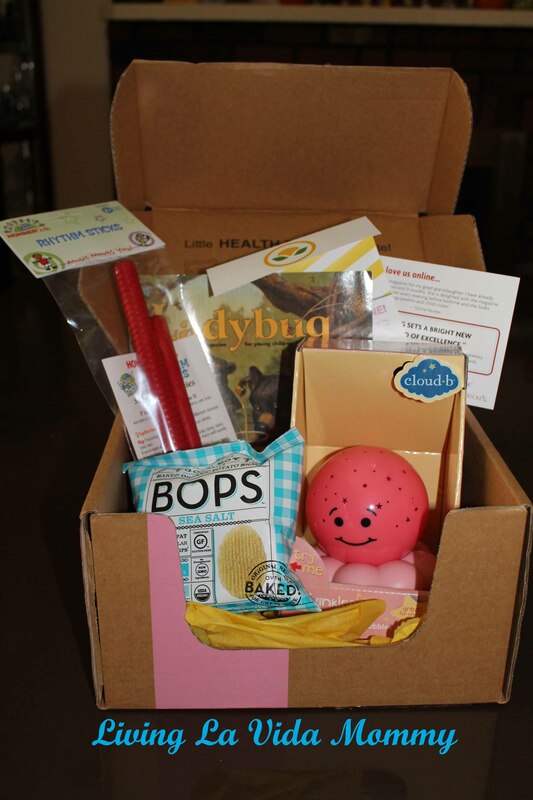 If you are totally jelly and wishing you had your very own box of goodies delivered right to your door each month, carefully curated just for your child, then click HERE and give Citrus Lane a try! 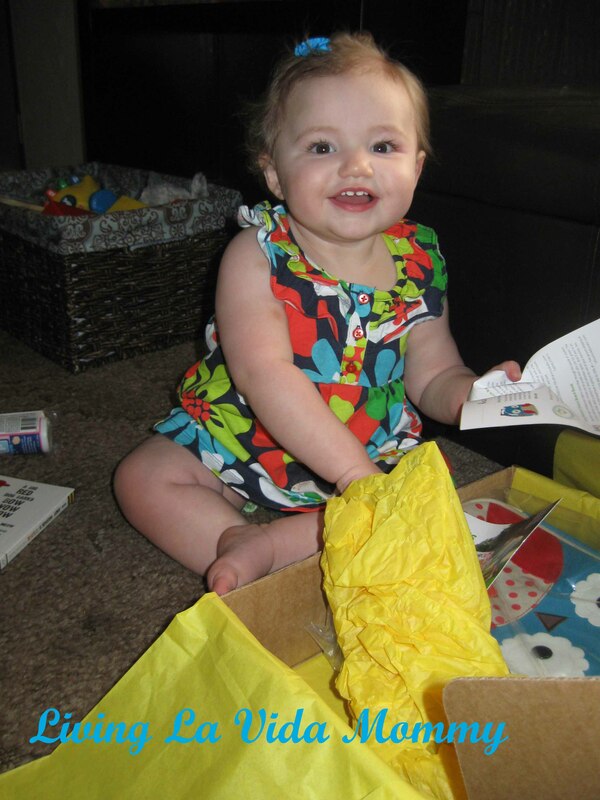 Shipping is always free, and you get an awesome array of goodies each month specifically for your child’s age. Use coupon code FIRSTBOX to get 50% off your first box! Citrus Lane kicked off 2013 with a new design for their subscription box inserts that include a fun, collectible game piece in a card like presentation. Another new feature for 2013 is less of a strict theme each month, allowing for even more customization for the different age groups. Are you intrigued to see what January’s box brought us? Well then, let’s dive in! That is a box full of awesome right there! 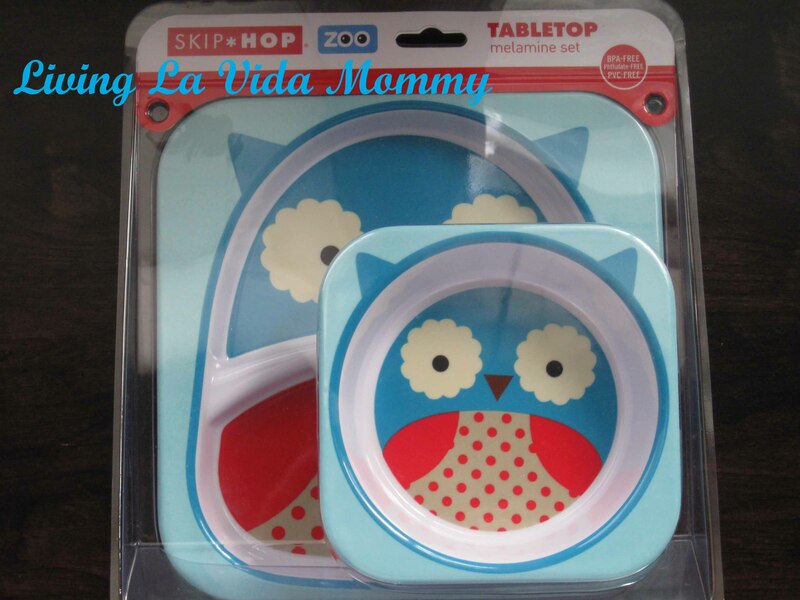 Included with this month’s box was a 25% off voucher for Skip Hop’s website, the maker of the crazy cute Zoo Plate Set that was included in this month’s box. Their site is full of all kinds of other awesome finds, so this was a great addition! 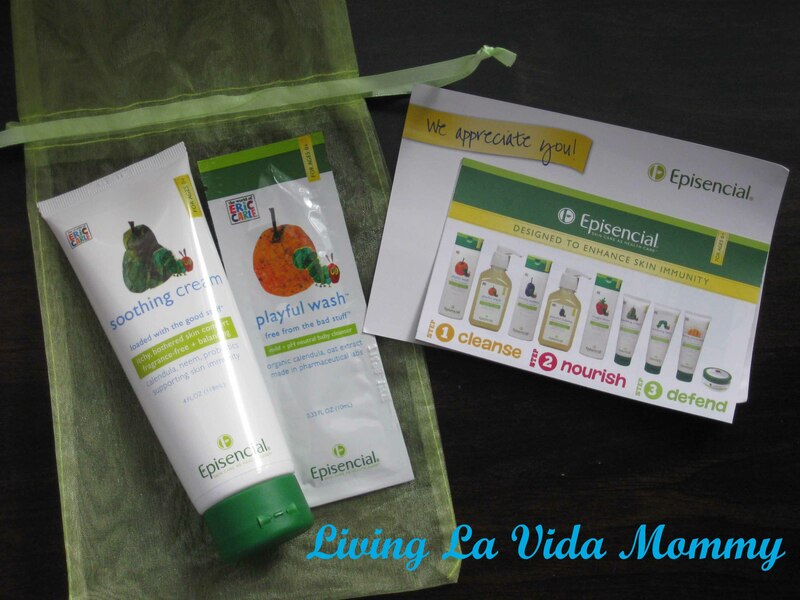 We love Episencial in our house, so we were very excited to get this in our January box! Their product line is perfect for babies and children with sensitive skin, and came at a perfect time for fighting the dry, itchy winter skin blues! This is a wonderfully lemon scented spray that easily fits in the purse or diaper bag for quick disinfecting of shopping cart handles, restaurant high chairs, you name it. 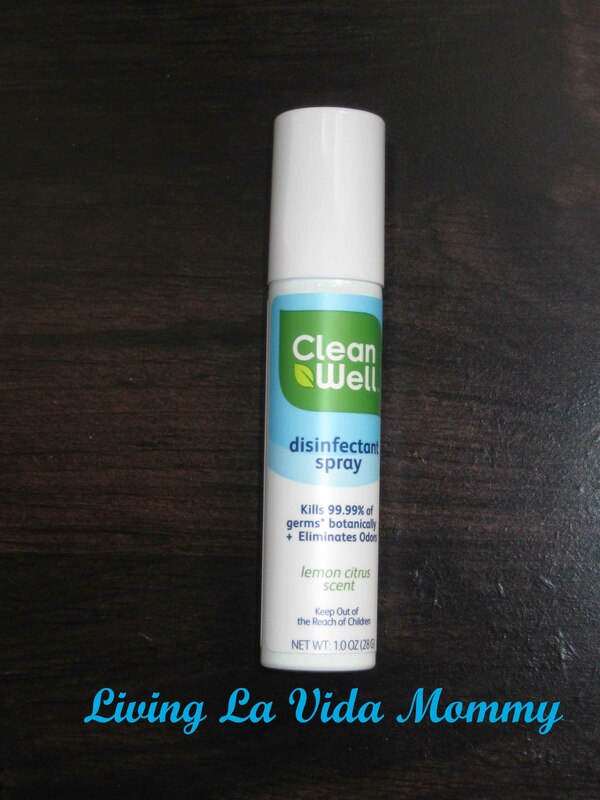 I use this in addition to my disinfectant wipes, and I love the clean, fresh scent. Love. It was a happy coincidence that I happened to get the set that matches the owl lunchie we got in our box a few months ago, but my goodness, what a happy surprise! This mama is obsessed with owls, and this bright and cheery owl set is no exception! 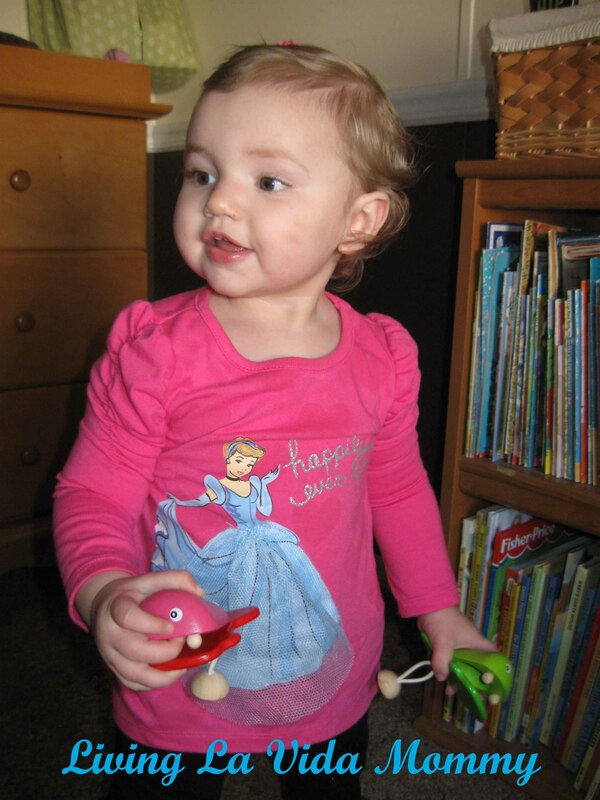 It is made of melamine and is very sturdy and durable on top of being super precious! This was a very welcome addition to our dish cabinet! 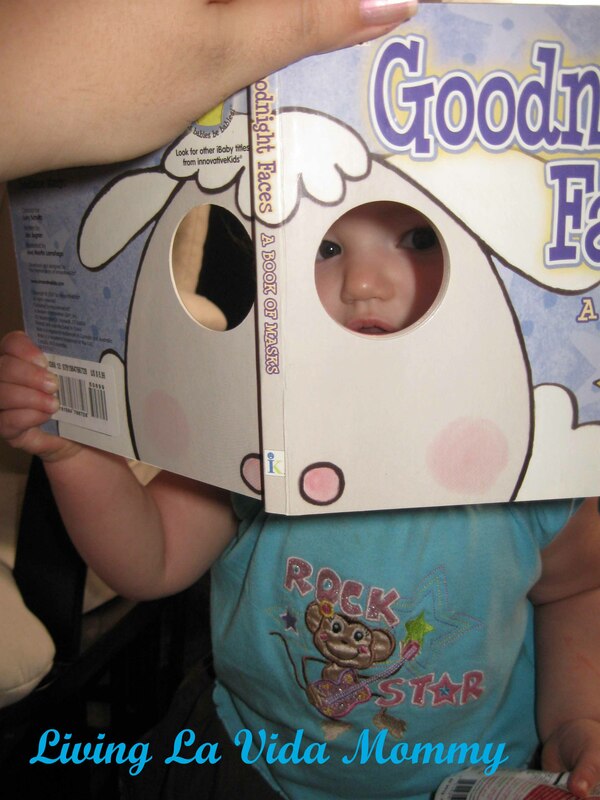 We are huge bookworms in our house, so a book is always a very exciting box addition for us! This book was no exception! 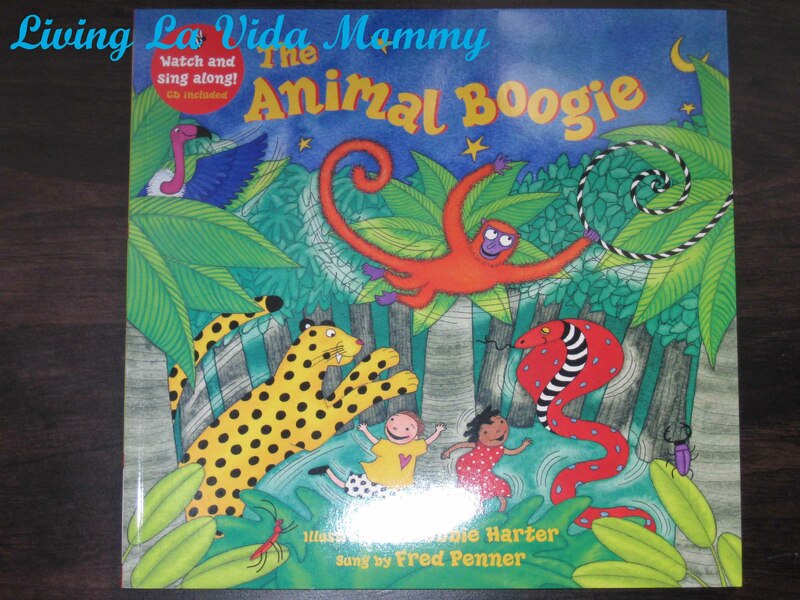 It includes a fun cd that not only has music, but is interactive with a fun animated video for the kids to enjoy! The illustrations are so bright and happy, this book is guaranteed to bring joy for years to come! So what did you think of January’s Citrus Lane box? Are you intrigued and wishing you had your very own box? Click HERE to sign up and you will get $10 off your new subscription! Or click HERE and enter code BREAK10 for 10% off any new subscription! You can get as little as 3 months, or as much as a full year! I have said it before, I will say it again. I think Citrus Lane is an awesome value and it definitely costs less than a quick trip to Target (or any store) for this mama. They have exciting things planned for the coming year, so now is a great time to join the Citrus Lane community! Middle of the month means a box of sunshine at our door, otherwise known as Citrus Lane! 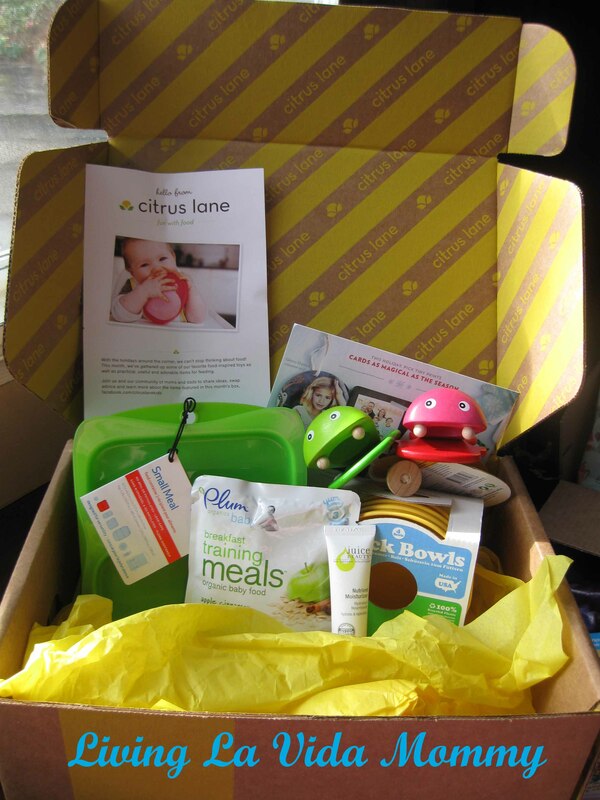 For those not in the know, Citrus Lane is a subscription service that delivers a box of specially curated items for babies from newborn to age 3 every month. Each month has a theme, and this month, unsurprisingly, the theme is “Fun With Food.” Let’s dive in! This month’s box was full of fun, food related goodies! As always, each box comes with a sheet that explains each item, tells you where to find more, and often times includes some awesome, exclusive coupon codes. 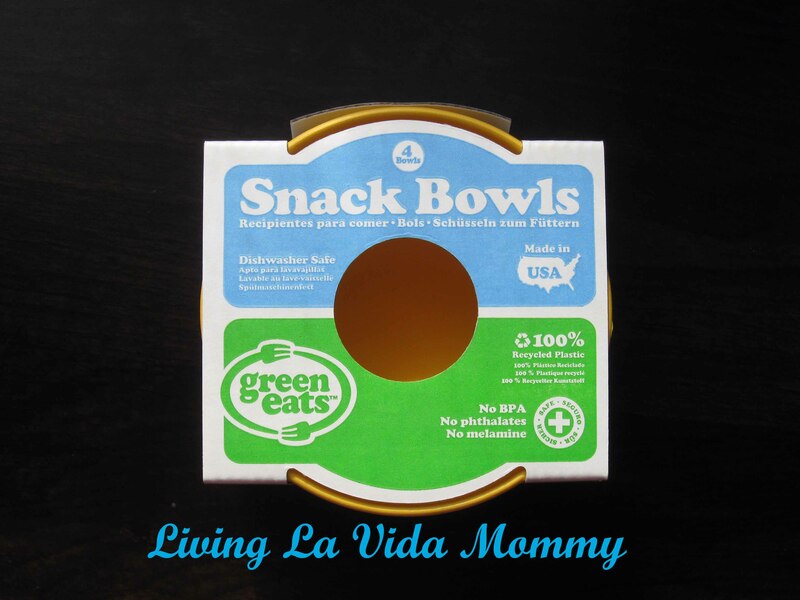 This BPA free container is perfect for packing snacks for on the go and keeping them from getting all squished like they would in a baggie. This one in particular also has two separate compartments, which is awesome for making a complete meal for your little one and easily toting it mess free. Apple Cinnamon Oatmeal. Yum! This is a perfect way to start the day, keeping baby nice and full before a long car ride to grandma’s house for turkey and all the fixins! I like to mix in some fresh fruit, upping the yum factor and adding even more nutrition. No complaints from my kiddos! Just the right size for the Plum Organics oatmeal! These bowls are actually made from recycled milk jugs! Even better, for easy clean up, they are dishwasher safe. Something to remember though, they are not microwave safe, so while they are great to serve snacks in, remember not to warm anything in these bowls. 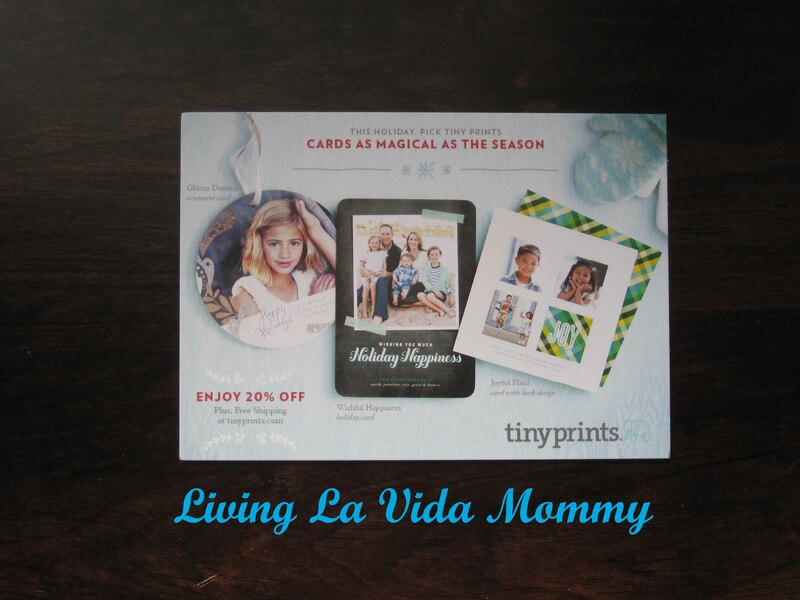 Tis the season for fun holiday cards, and this coupon code is just in time for making some awesome cards of your little ones to send to friends and loved ones. 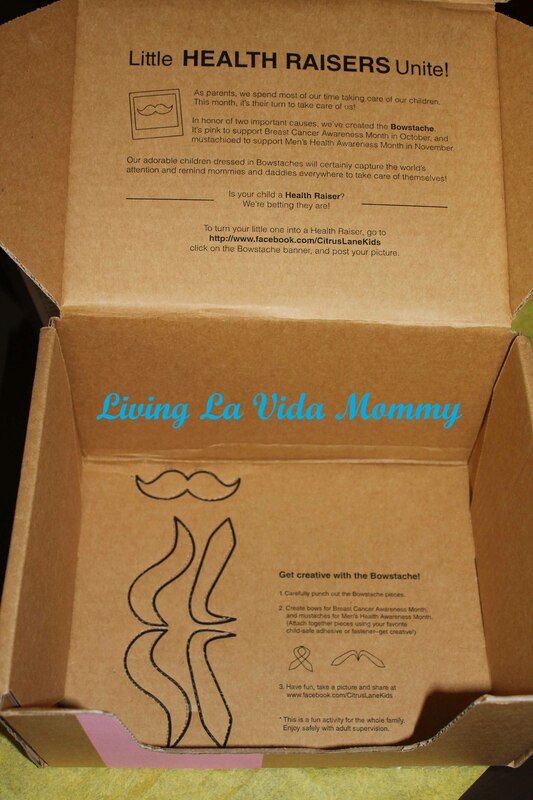 Yes, included in this month’s box was a special treat for the mamas! All natural, hydrating and full of antioxidants. Great way to wind down at the end of the day, especially during all the chaos of the holidays! How stinkin’ cute are these?! 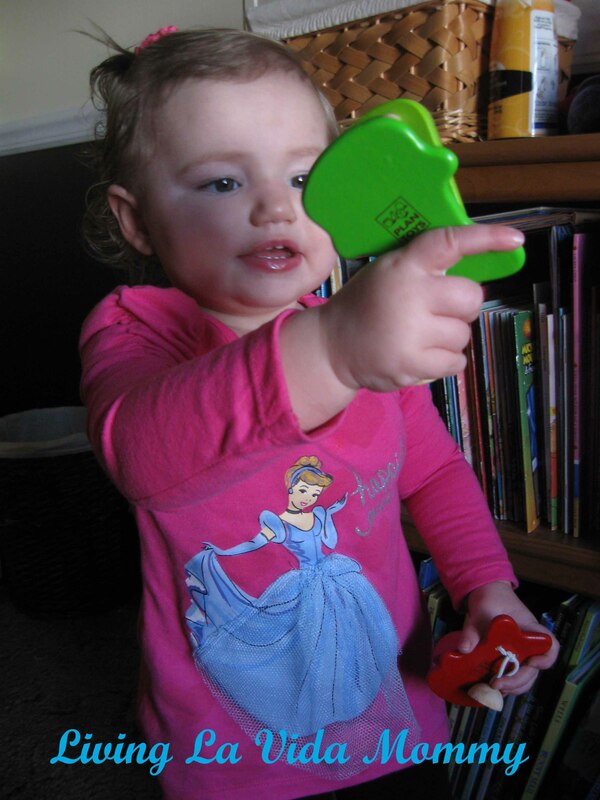 Two, very brightly colored wooden castanets, perfect for little hands and pleasant on the ears! It is a soft, pleasant sound that these fishies make, and they are FUN to play with! I find myself grabbing them every time I see them, clacking out a little beat before one of the kids steals them away. Very well made and well loved in this family. 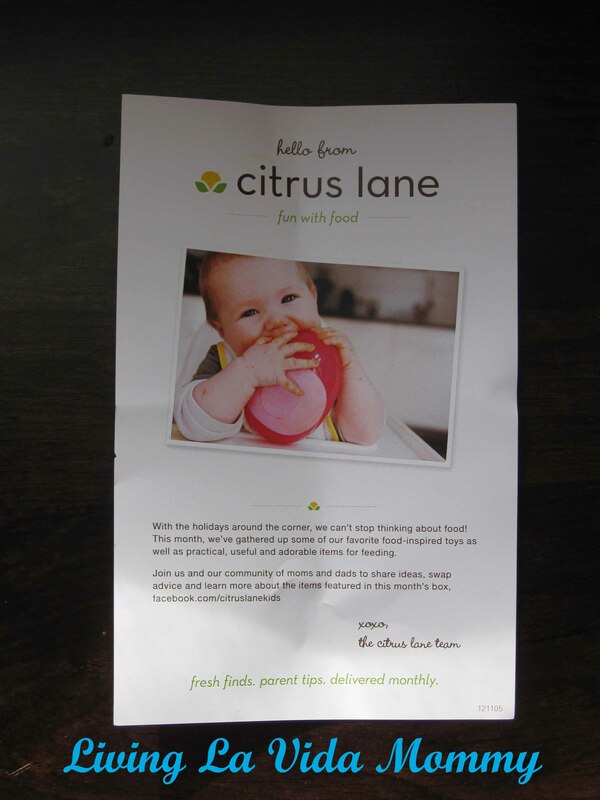 Try out your very own subscription to Citrus Lane by clicking HERE. Once you follow that link, enter coupon code 10TODAY to save 10%. Or, enter code 10MONTH for $10 off one month. When you subscribe for a full year, they also give you two months free. Who doesn’t love free?! We love Citrus Lane in our home. As I have said before, the value of the products each month for the small price paid is just fabulous. And much cheaper than a “quick” trip to Target for me. I love being introduced to new brands and companies, and we have loved everything we have gotten so far. 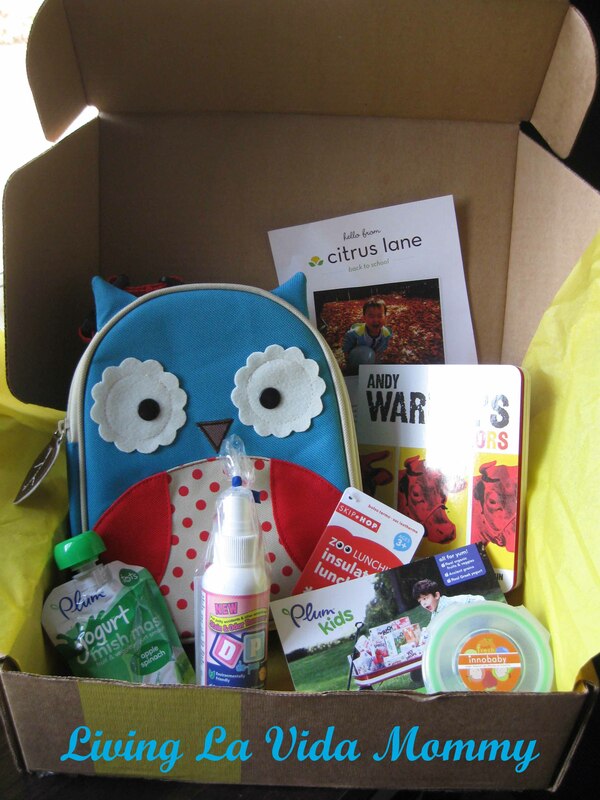 It’s mid September, and that means it’s time for our monthly Citrus Lane box! 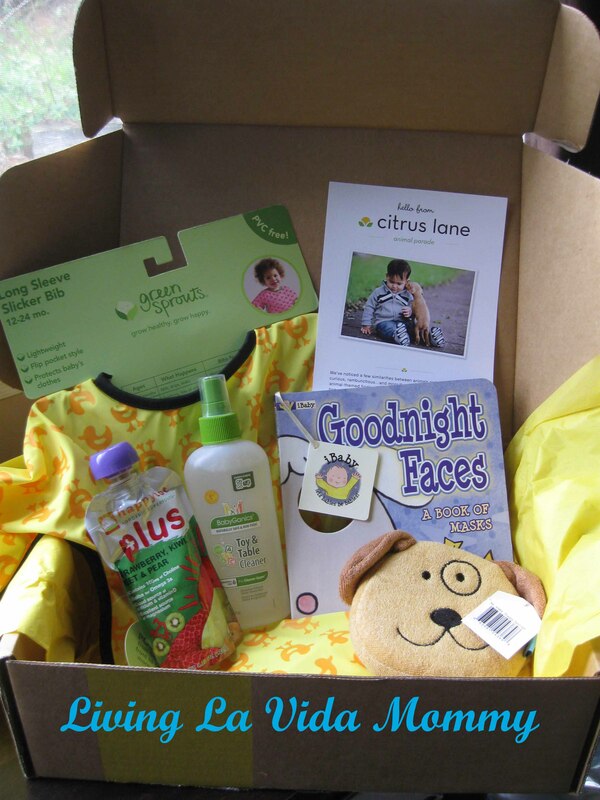 For those who don’t yet know the awesomeness of Citrus Lane, basically it is a monthly subscription service, curated to your little one(s) from newborn to age 3. Each month is centered on a theme, and the boxes are filled with fun, age appropriate goodies from brands that you may not have known about before. This month’s theme is “Animal Parade”. Sara was eager, as always, to dig right in! 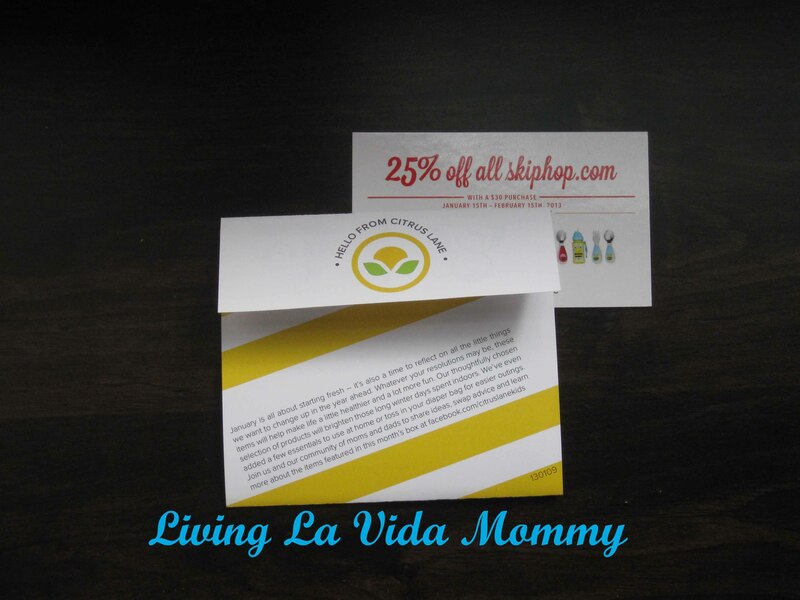 Included in every box is an insert that tells you more about each of the items and often includes Citrus Lane exclusive coupon codes and offers from the featured companies. It also includes the websites to the brands, so you can look up even more cool products that they may have to offer. Have you ever dreaded meal time because of the inevitable mess that would explode as your toddler fed him or herself? Yeah, me too. Heck, half the time, we strip them down to the diapers, knowing that they will end up wearing most of their dinner. This bib is waterproof, has a velcro closure to stay in place and it even has a flip pocket to catch anything that would otherwise slide down into baby’s lap. Oh yes, this ranks high on the awesome meter! Bib firmly in place, now let’s eat! HappyBaby makes yummy organic food pouches that are easy to store, easy to carry and easy for little ones to feed themselves with. The pouch is BPA free and has a resealable top for preserving any leftovers. This pouch is long gone, Sara loved it. It’s like she’s anticipating the mess she is going to make with that fruit pouch. What a thoughtful girl! This item was in another box a month or two ago, but let me tell you, it is great to have several! I like to keep one in the diaper bag, and now I have one next to the high chair. 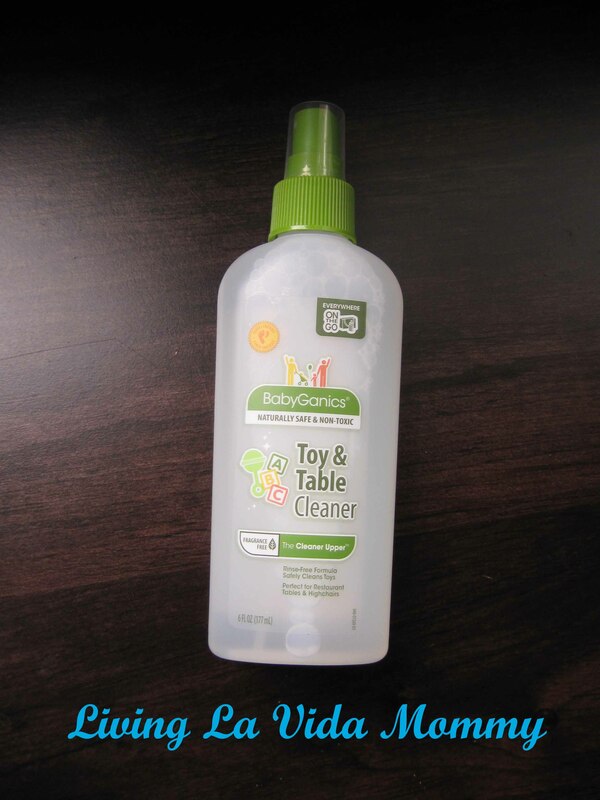 This cleaner is paraben, sulfates and pthalates free, a perfect way to clean baby’s highchair tray at home or on the go. It is also handy for wiping down restaurant tables, or anything that you want to make sure is nice and clean before your baby decides to gnaw on it. I think Sara approves of her cute little puppy bath sponge! Bathtime will be even more fun with this adorable little puppy dog sponge! 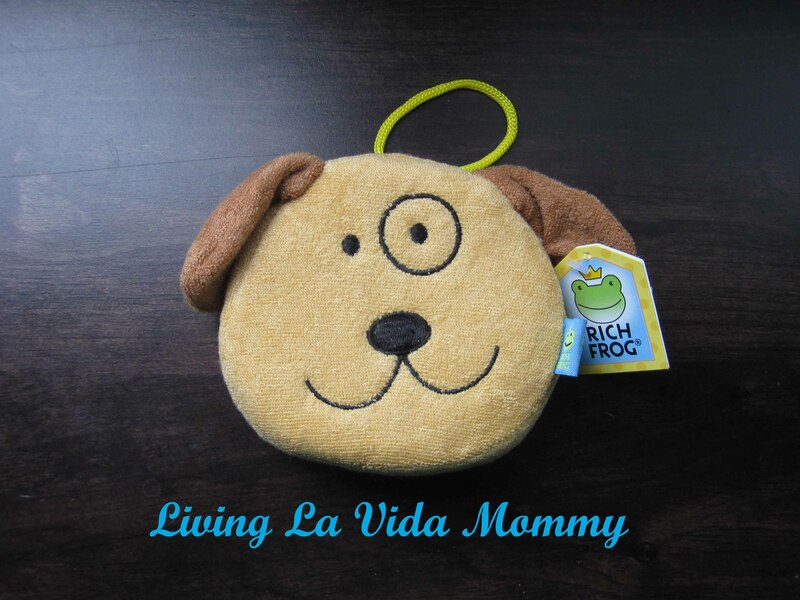 It has a very soft terry cloth covering that is soft on baby’s skin, a handy dandy loop to hang it to dry, and it stays afloat in the tub, so it is always easy to find and play with! The cuteness of this book is almost too much! 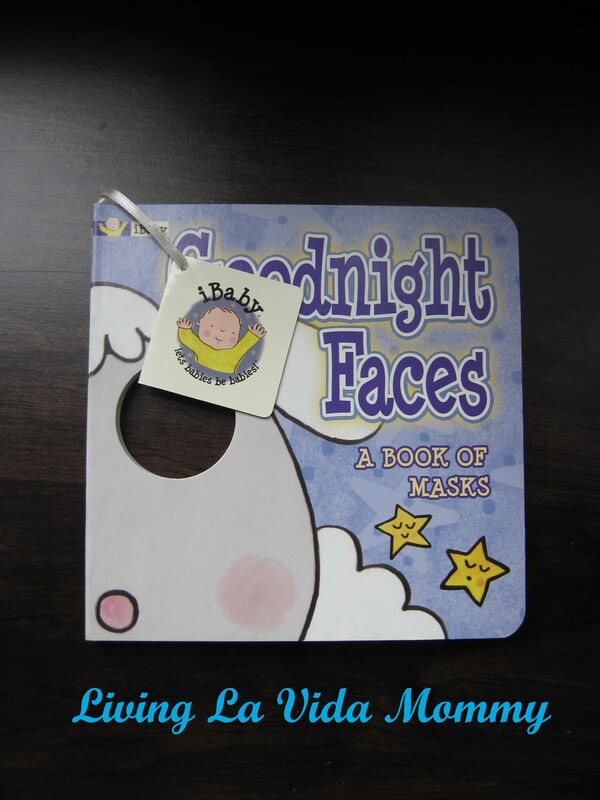 This book, as you saw, opens up to several, adorable and fun masks! Talk about making reading fun! This book was hugely giggle inducing for the whole family. What a fun idea, we love it! 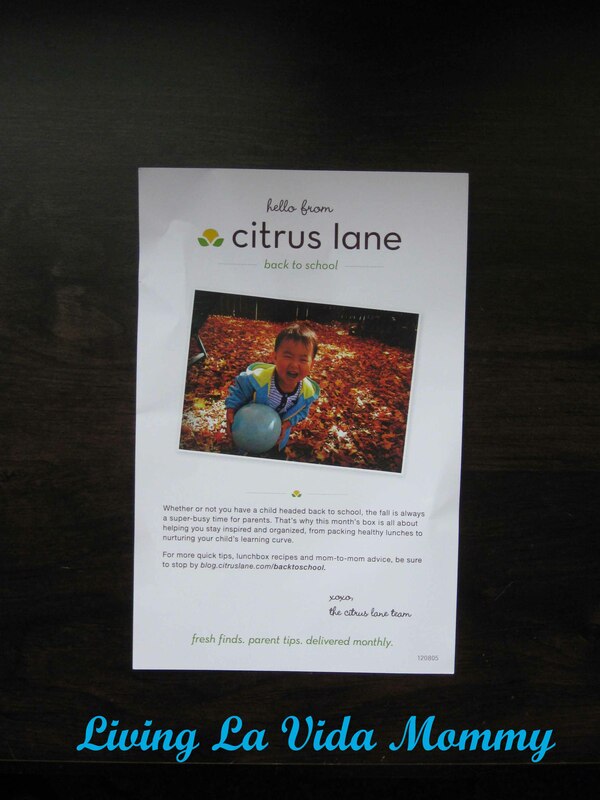 Try out your very own subscription to Citrus Lane by clicking HERE. Once you follow that link, enter coupon code 10TODAY to save 10%. When you subscribe for a full year, they also give you two months free. Who doesn’t love free?! 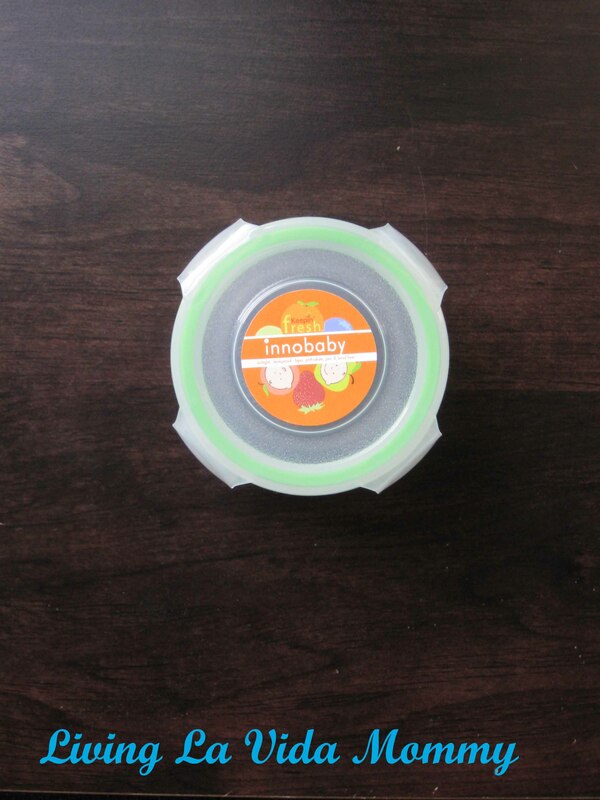 Have you entered to win the three pack of Baby Cubes yet? Click HERE and get yourself entered! There are lots of awesome ideas floating around in the comment section of that post, and all it takes is a comment to enter yourself to win! Did I mention that there will be ten winners?! I have gotten an inbox full of emails as entries, which is cool, I will still enter all of those into the giveaway. But share your ideas in the comments section too, so everyone can see what you’ll use your Baby Cubes for! Sharing is caring, ya know. 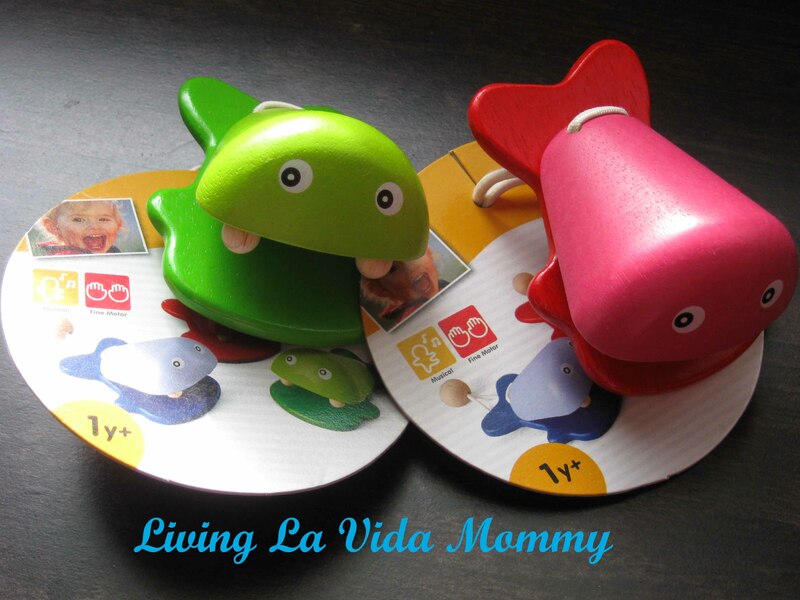 Baby Cubes Review & Giveaway! As I have mentioned several times before, I like to make my own baby food. It’s cheap, it’s easy, and I control exactly what goes into it. My previous method was to make my batches and then use ice cube trays to freeze serving sized portions. 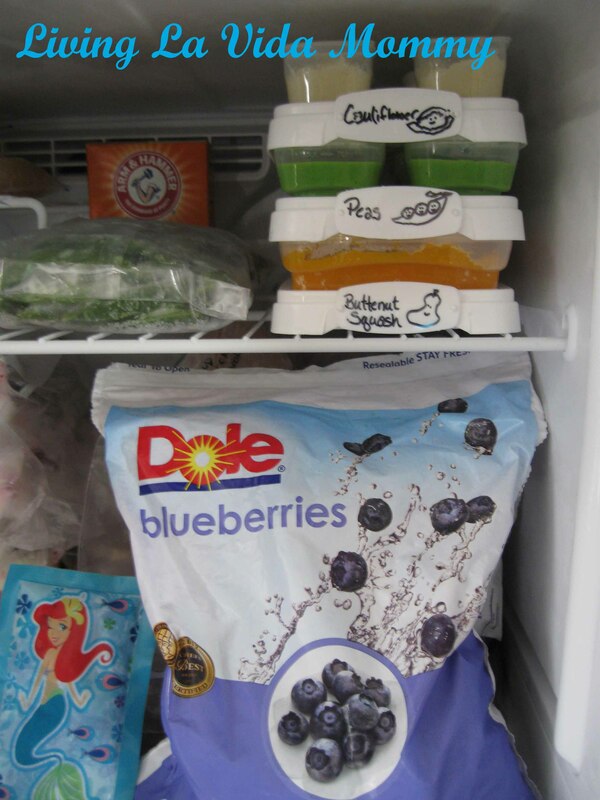 I then dumped the frozen cubes of baby food into a gallon size freezer bag to keep them fresh. One problem with the freezer bag method, was a lot of ice crystals inevitably formed inside the bag, which could affect the taste and quality of the baby food. And using the ice cube trays, while convenient, was a pain in the behind trying to pry the frozen food out to store. I assumed the little annoyances were just a part of the game, until I was recently introduced to Baby Cubes. First things first, let me assure you that Baby Cubes are BPA and Phthalates free. Also, let me just say, they are AWESOME. 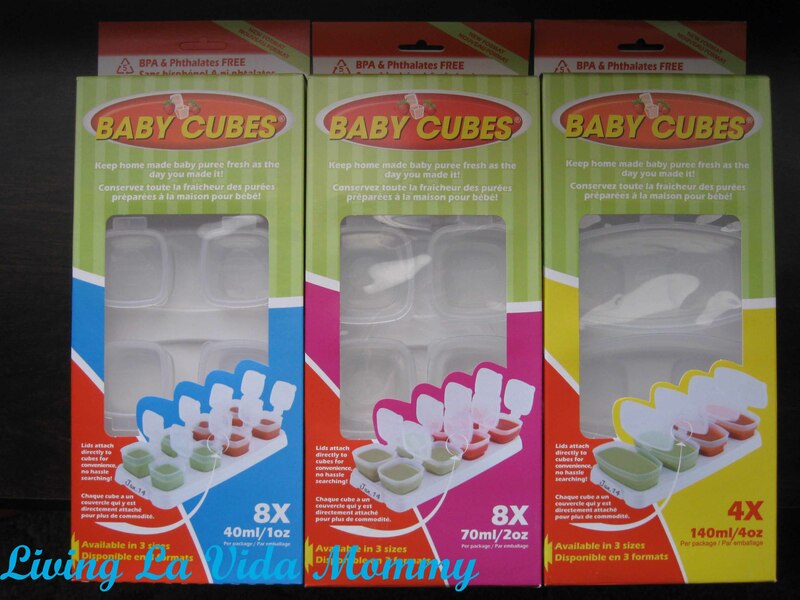 Baby Cubes come in three different sizes for perfect portion control and less waste. There are 1oz, 2oz, and 4oz cubes, and each little cube has the lid attached directly onto it, so you never have to worry about losing lids! Also, they snap into place on the trays, so you don’t have to worry about them tipping over while you are filling them or even while they are in storage. The cubes are also microwave safe, and being separated into single portion sizes, you will never have ice build up or freezer burn affecting your homemade baby food! I think if people realized just how incredibly easy it is to make fresh baby food, the baby food companies would go out of business. Don’t believe me? This is a halved butternut squash. 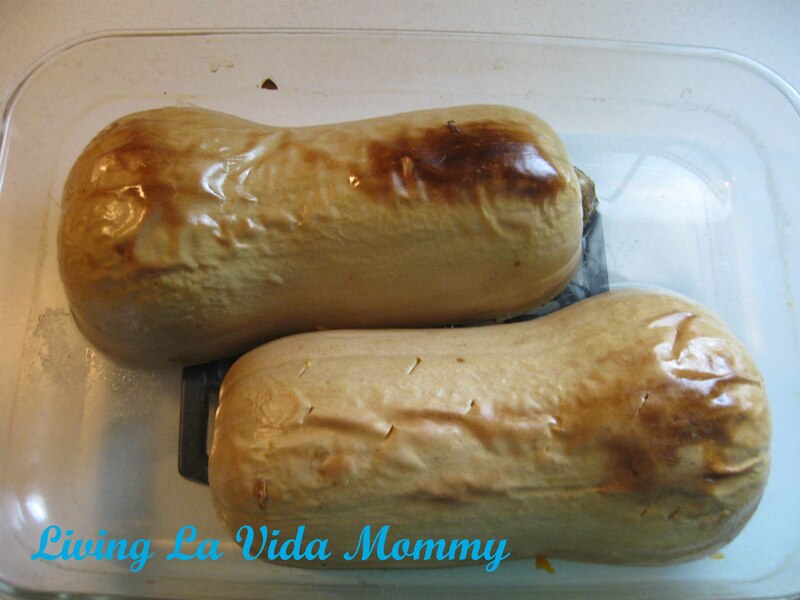 Place it in a baking dish, cut side down with about 1/2 inch of water in the dish. Cook at 400 degrees for about 40 minutes, or until easily pierced with a knife. Here’s where it gets tricky. Scoop out the flesh and you are done. Seriously. 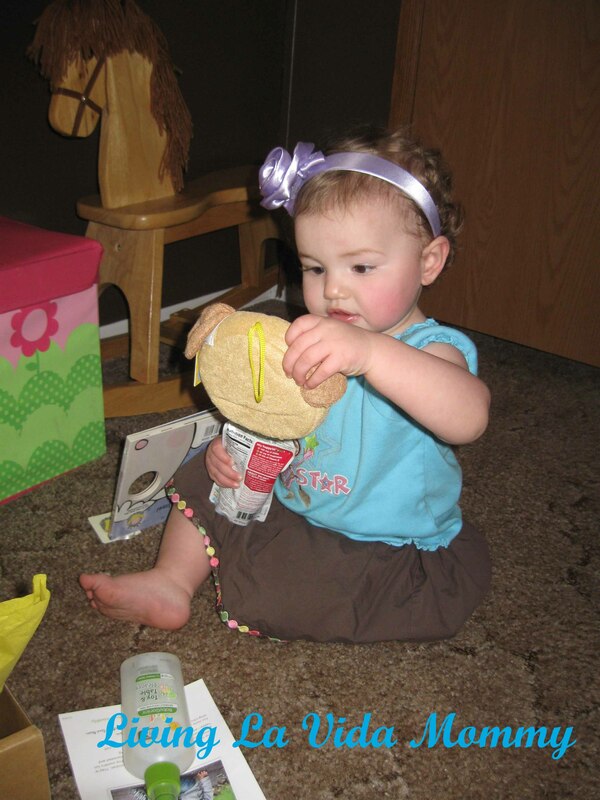 Leave it lumpier for older babies and make it smoother for younger babies. That is it! No seasonings, no preservatives, no chemicals. 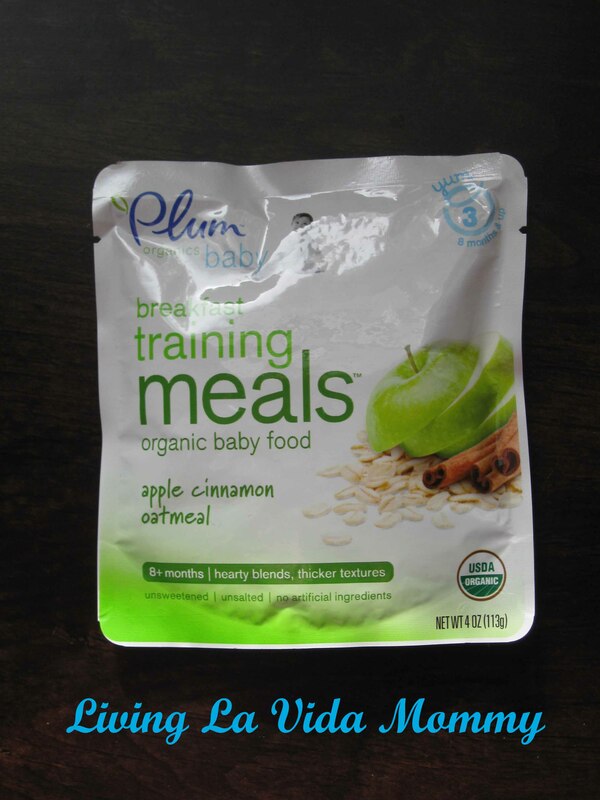 Just simple, healthy, fresh baby food! 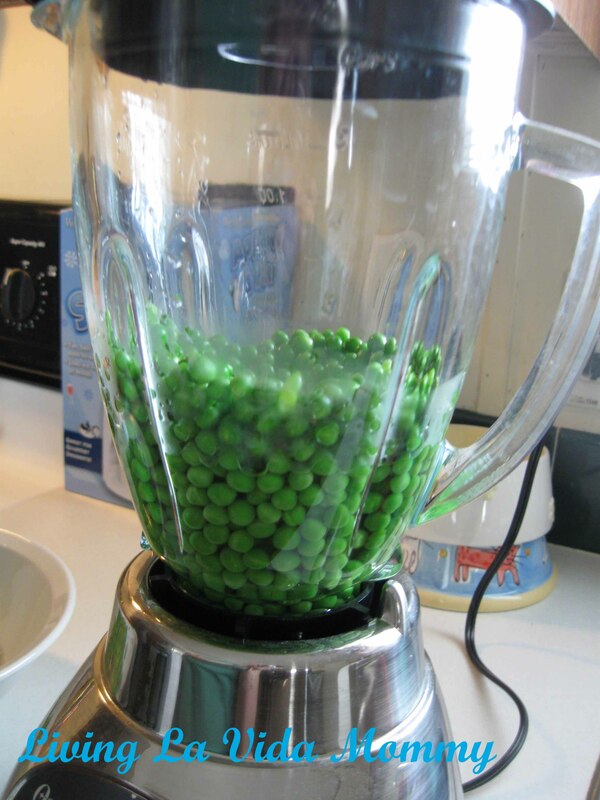 I like to use a blender for my peas to get a smoother consistency. 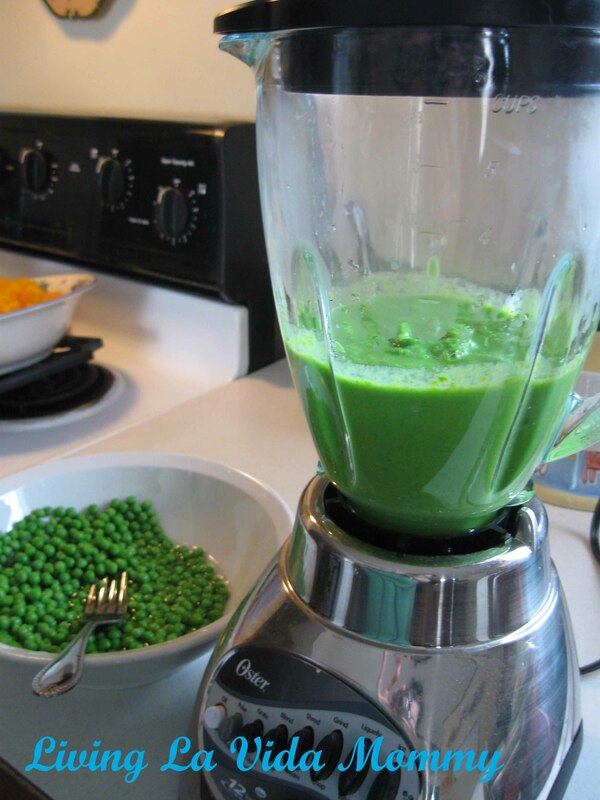 Just take fresh cooked peas with some reserved cooking water and toss it all in a blender. Then blend it all up until you get the texture you want. See how easy that was? And cheap and awesome? So why not make your own fresh baby food? And Baby Cubes is the absolute perfect way to store them! 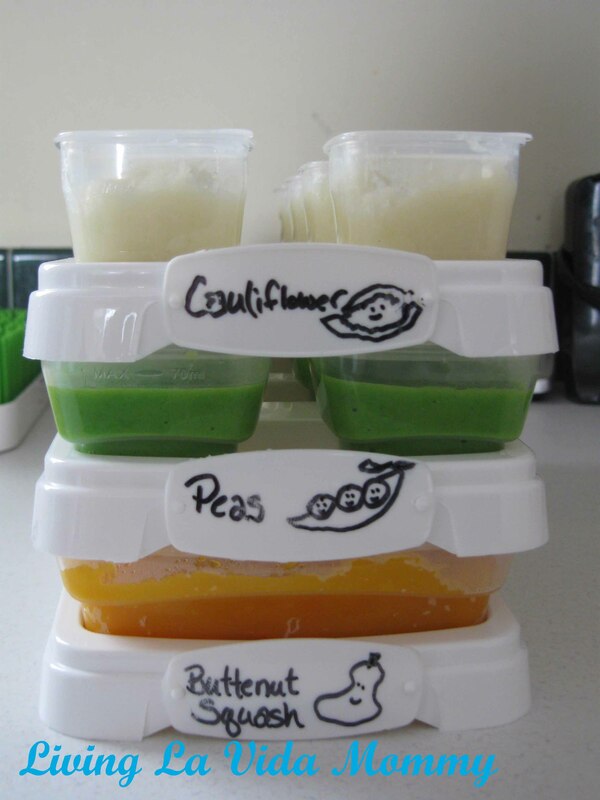 Two more awesome features of Baby Cubes, they stack perfectly on top of each other, no matter what size cubes you are using and they have removable plaques that you can use a dry or wet erase marker on to write exactly what kind of baby food that tray is holding! Look how nicely and easily they fit into the freezer! They have a tiny footprint, and it is super easy to grab a serving as you need it. Don’t have any ninos in the baby food stage? Not a problem! Continue making the fruit and veggie purees and sneak them into your regular cooking. 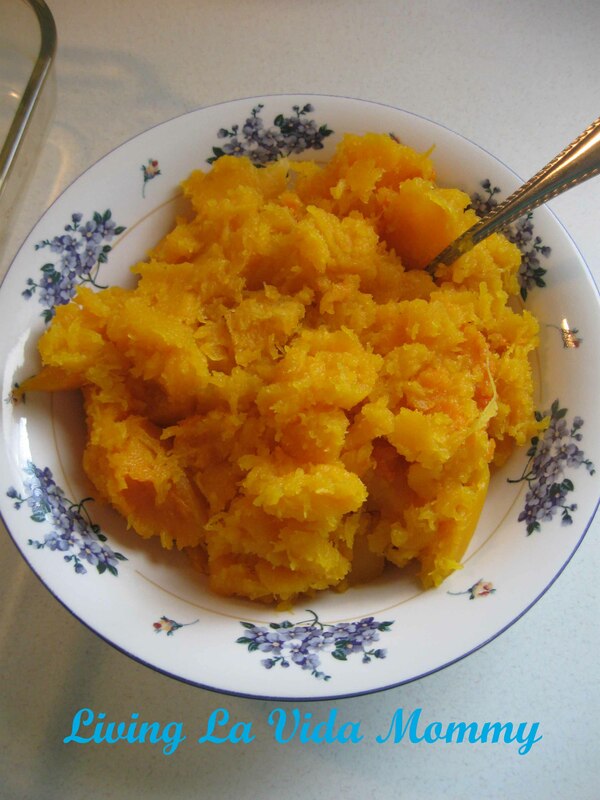 Throw a serving of sweet potatoes into the macaroni and cheese or a few servings of cauliflower in the mashed potatoes. Everyone will get extra servings of veggies without even knowing it. Baby cubes are also awesome for storing serving sizes of sauces,stews,rice or soups, you name it. There is no reason to stop using these once the baby is out of the pureed food stage. 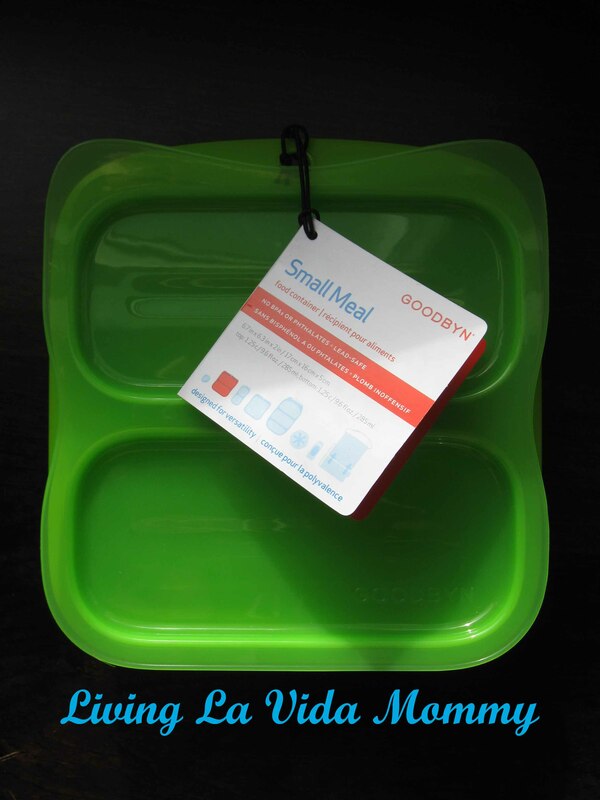 Hey, anything that makes cooking and storing healthy food easier and more convenient is always welcome in my cocina! Give Baby Cubes a try, I’m sure you will find endless possibilities in your kitchen as well. The awesome, and I mean awesome, folks at Baby Cubes have very generously given me a huge stash of Baby Cubes to share with my readers for a massive giveaway. We’re talking 10 winners here amigas! Ten of my readers will win a three pack of Baby Cubes. That is one in each size, a 1 oz, a 2 oz and a 4 oz tray! Are you excited? Me too! Leave a comment in this post as your entry. Tell me what you’ll use your Baby Cubes for if you win. That’s it. Easy peasy! I’ll be announcing the winners, all 10 of them, on Friday, September 14, 2012. In the meantime, if you can’t wait to learn more or get your hands on some Baby Cubes of your own, check out Baby Cubes website by clicking HERE. You will find more information on this awesome product as well as where to buy them in your local area. The awesome folks at Baby Cubes provided me with free products for review purposes. I was not compensated in any other way, and I really do think that Baby Cubes are an amazing, useful product that no home made baby food making mama should be without! 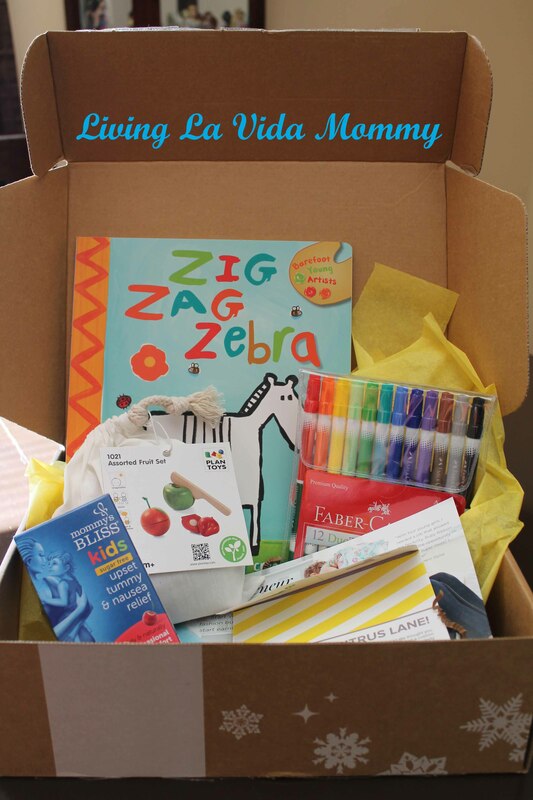 Just in time for back to school, this month’s Citrus Lane box has some fun goodies for the little ones not yet in school. 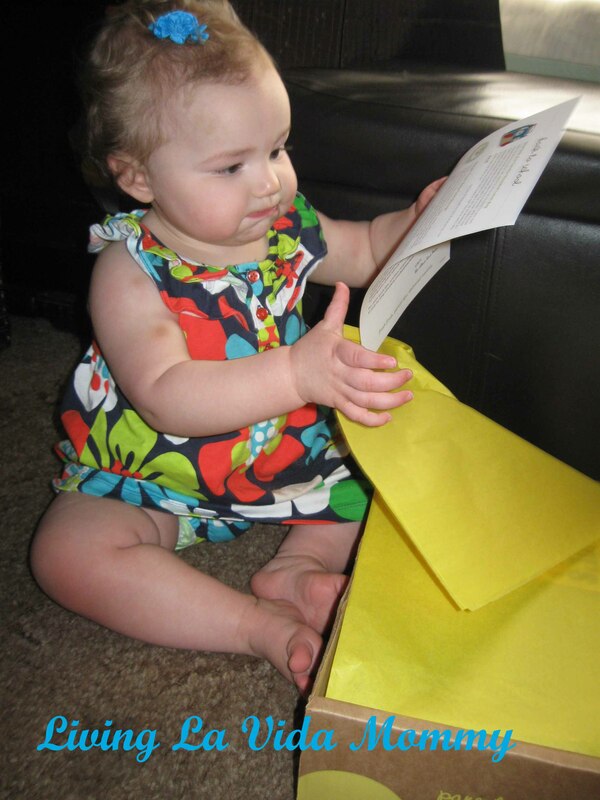 I love how Sara likes to inspect the insert of each box, like she is reading about all her new stuff! Smart baby! Lots of stuff that will be great for our little “filed trips” and errands while the big kids are at school. As always, each box includes this insert which tells you more information about all of the products, includes websites and coupon codes and even little tips and tricks in line with the month’s theme. 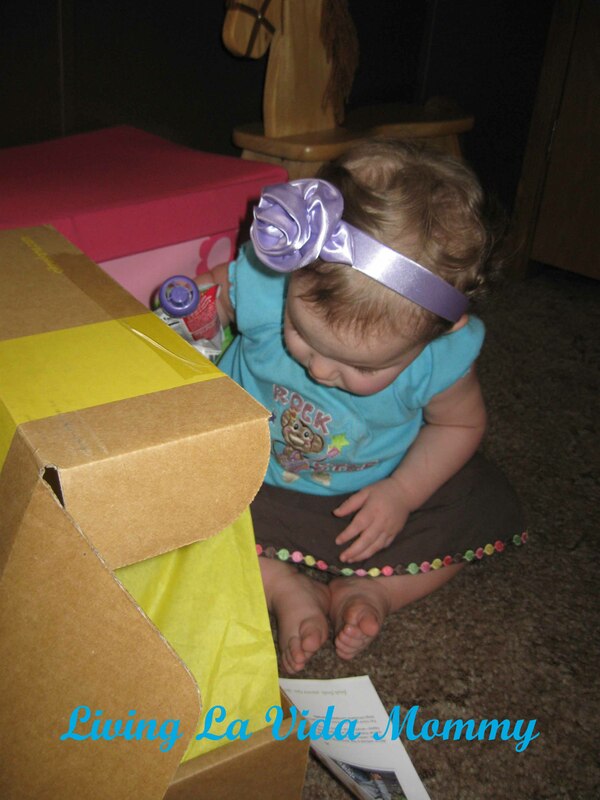 Also, as you saw, this is one of Sara’s favorite parts of the box, even more than the yellow tissue paper! Now that’s saying something! 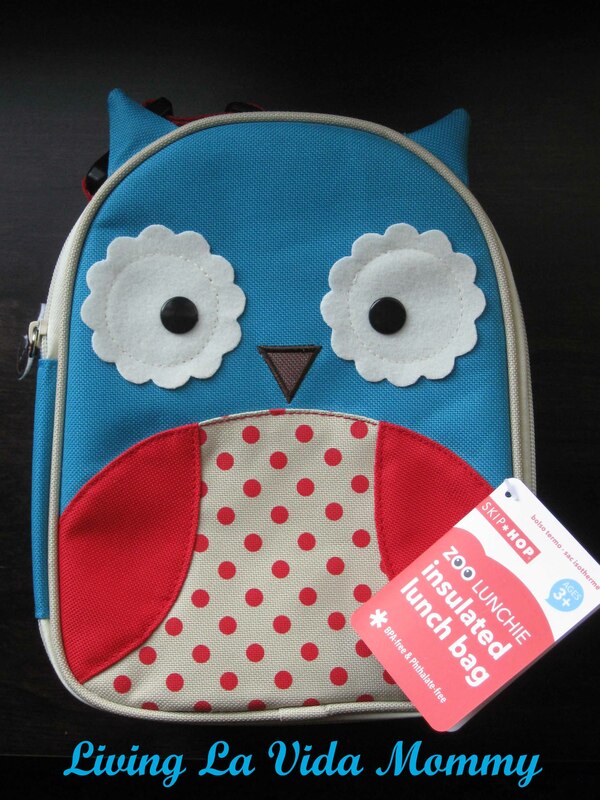 Okay, I have to admit, I am in love with and completely obsessed with owls, so when we opened this box, my eyes immediately went to this super adorable lunch bag! Love it! 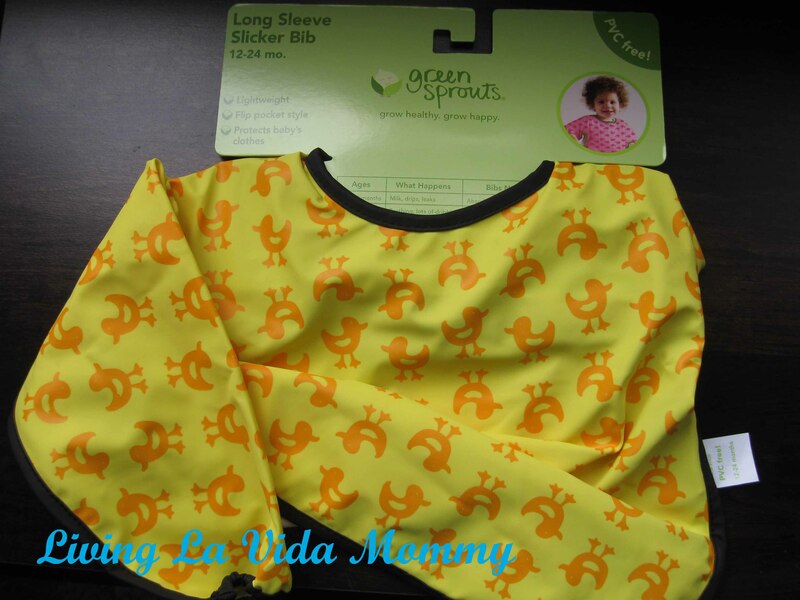 It has an easy wipe clean interior, along with a little mesh pocket for hand wipes or napkins or utensils, you name it. It also has an awesome clip on the handle, so it easily attaches to a backpack, stroller, diaper bag, etc to maximize space. BPA and Phthalate free, this lunch bag is perfect for toting snacks on the go and keeping bottles, sippy cups, juice boxes etc nice and cool. It’s so adorable, I think Mama may want to pack her lunch in it…. Books are one thing in our house we can never have too many of. My husband and I are bookworms, and we have passed that trait onto our children. Literally, my kids would rather sit and read than play with toys. Yes, they are awesome. 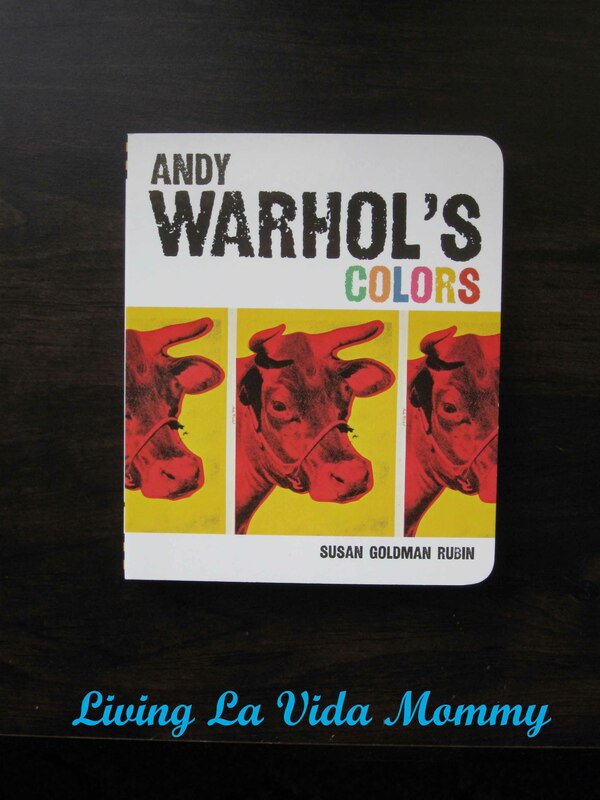 So is this bright and colorful board book! Totally modern, totally colorful and totally fun, this is the perfect size for little hands and nice and sturdy for the roughness it is bound to experience. It isn’t very long, which makes it perfect for little ones with short attention spans or for that last “one more story” at the end of the day. Carefully going through each and every item. Oh, I could have used this yesterday! Let’s hope I don’t have to use this anytime soon, but boy, am I glad to have it on hand! DP is an eco friendly biodegradable enzyme cleaner that is tough on stinky, icky messes. 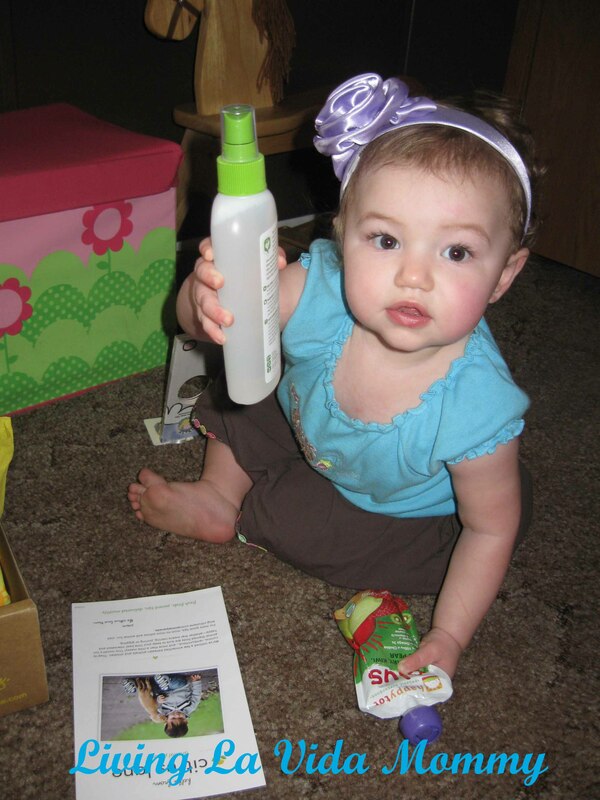 Anything from spit up to food disasters to even……poo, it is all blasted away with this product. If you haven’t experienced an insanely stinky, icky mess with your child yet, just wait. That day is coming, and now you can be prepared. 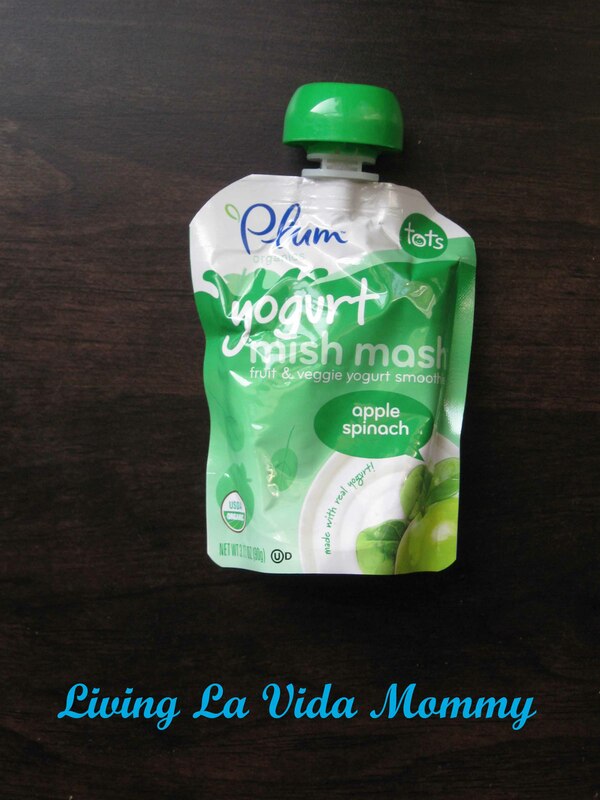 Included with the yummy Plum Organics this month, was a nice $2.00 off coupon for another Plum Organics product. I love the convenient pouches and the replaceable cap to save any uneaten portions. And of course, Sara loves the yummy flavor. 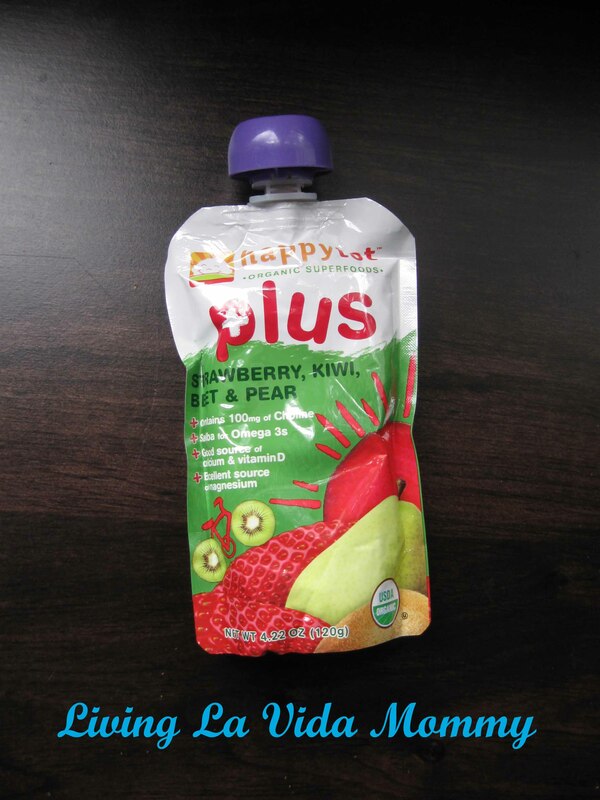 This is a great way to sneak in a serving of fruits and veggies if you have picky eaters. It is also an awesome, healthy snack. Lots of good stuff this month! These things will all come in handy for play dates and trips around town. What is Citrus Lane, you may ask? 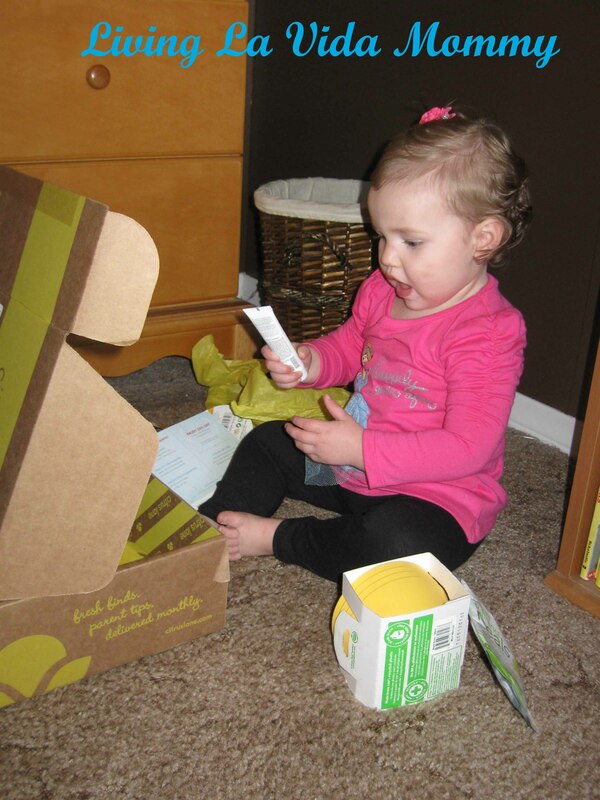 It is an awesome subscription service that curates boxes to your specific baby’s age and the monthly theme and then ships them to your door each and every single month. No leaving the house, no research, it’s all done for you! 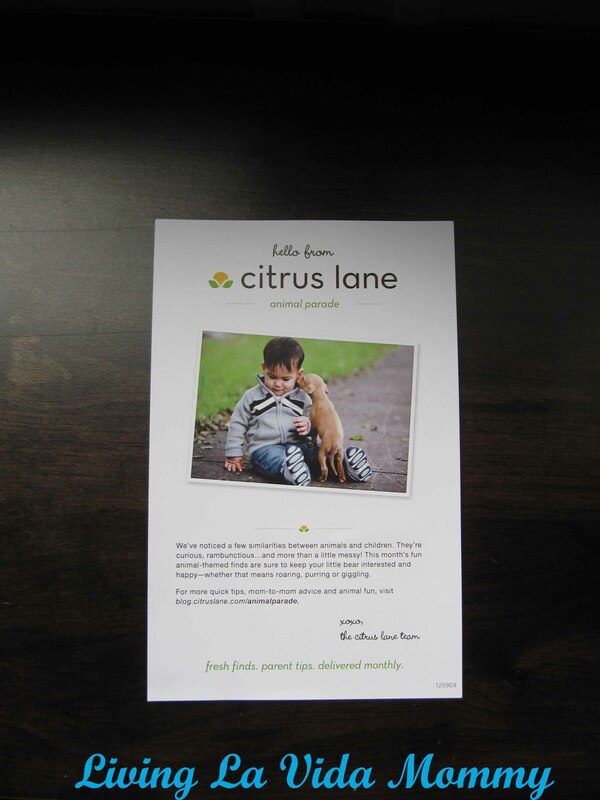 Try out your very own subscription to Citrus Lane by clicking HERE. Once you follow that link, enter coupon code 20TODAY. This will save you $15 on a 3 month subscription, $25 on a 6 month subscription, or $50 on a 12 month subscription. When you subscribe for a full year, they also give you two months free. More Pretty Dollar Tree Candles! Hello, my name is Angie and I am awesome. I married an awesome guy, we have awesome kids, and we enjoy awesome things. Follow the yellow brick road! And my blog!